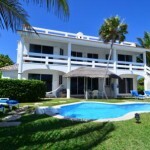 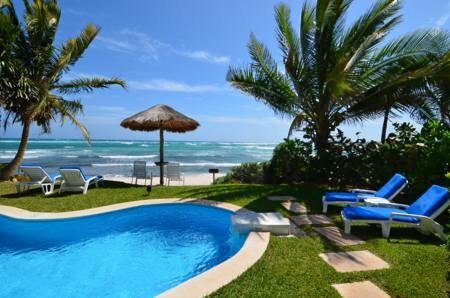 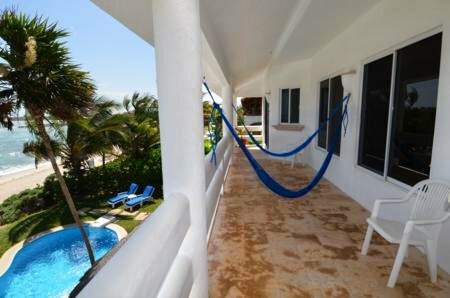 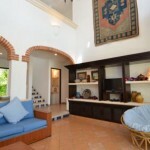 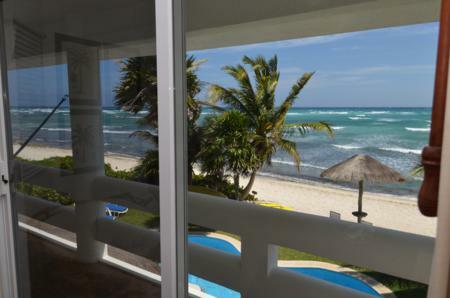 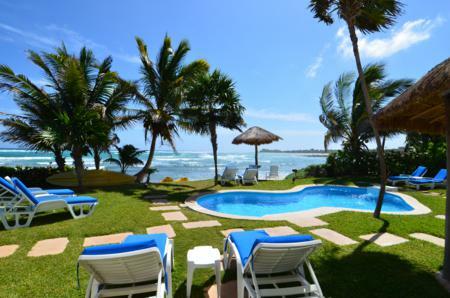 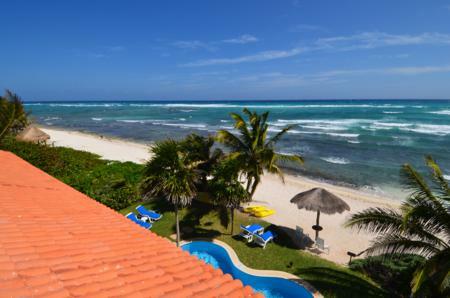 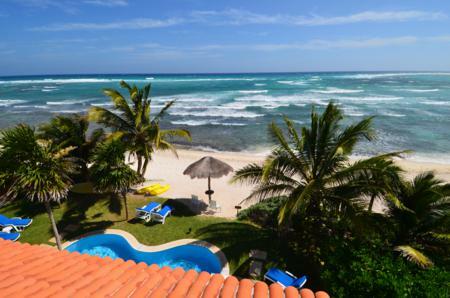 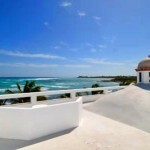 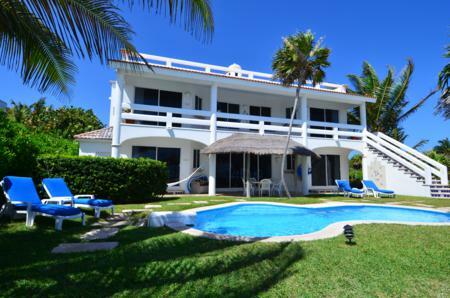 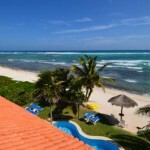 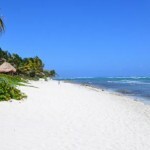 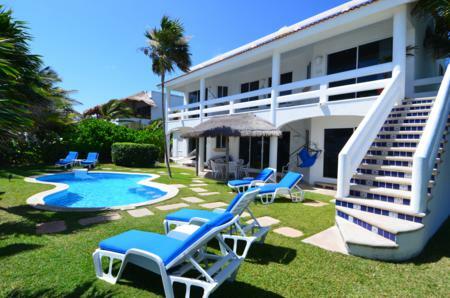 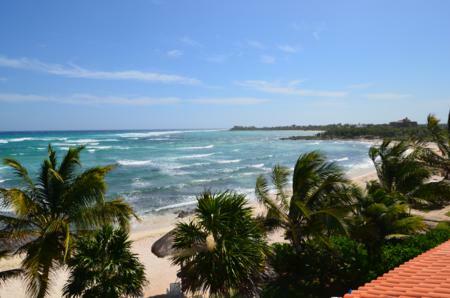 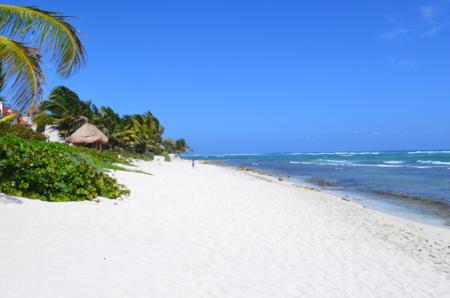 Villa Palmeras, a beautiful villa on Jade beach, between Akumal and South Akumal, has approximately 3,500 square feet of living space with four spacious bedrooms and 4.5 bathrooms. 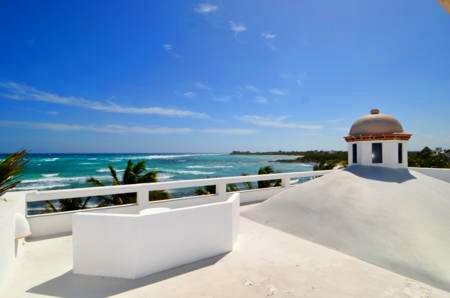 Villa Palmeras’ view over the Caribbean is just gorgeous, and the pool and beach side verandah are the perfect place to enjoy this tropical splendor. 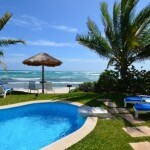 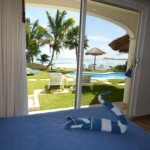 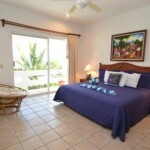 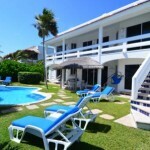 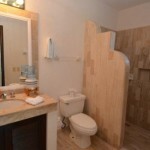 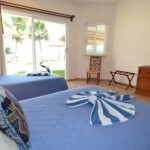 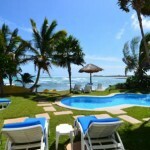 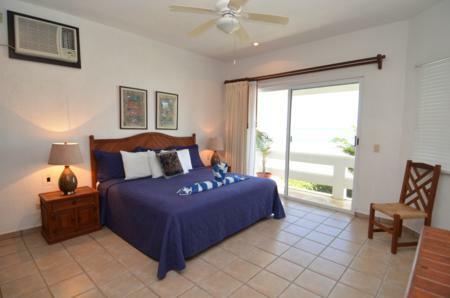 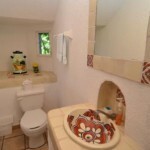 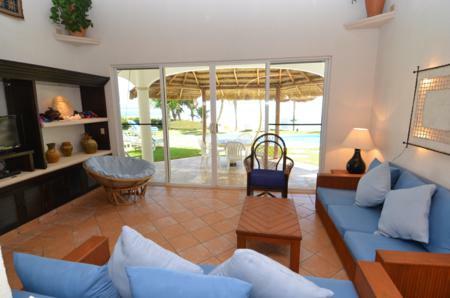 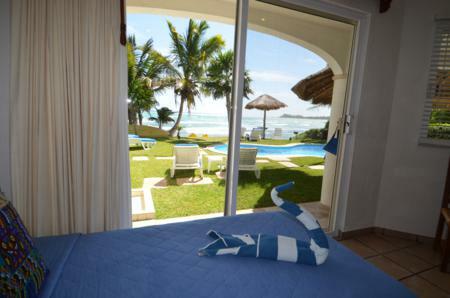 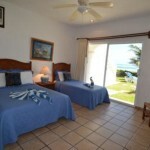 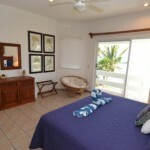 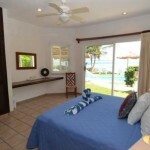 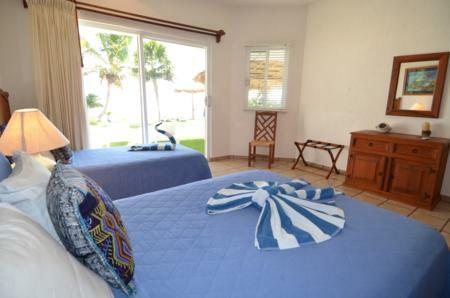 Inside the villa are four air-conditioned bedrooms, each with a private, en-suite bathrooms. 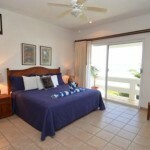 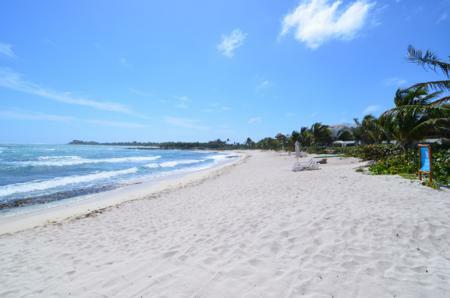 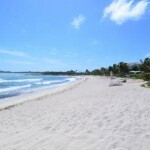 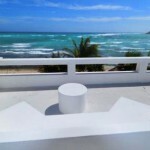 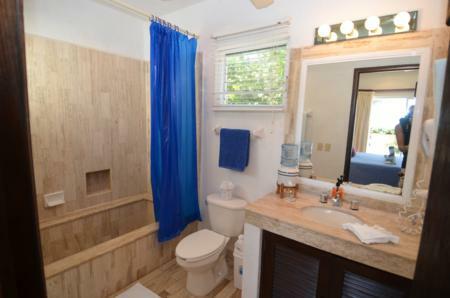 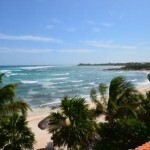 All have magnificent views of the Caribbean. 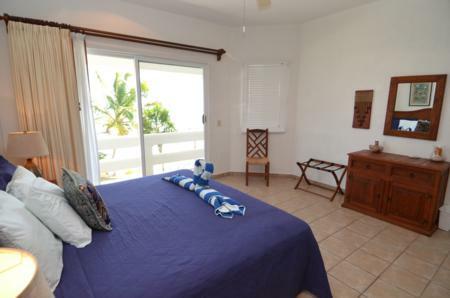 Two of the bedrooms are on the main level, one has a king bed; the other has a queen bed with a twin bed; both have glass sliders out to the poolside patio. 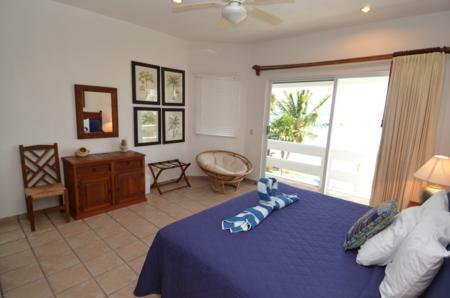 The two bedrooms on the second floor, each have a king size bed, private en-suite bathroom, and glass sliders to the upper, ocean view terrace. 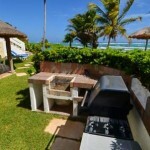 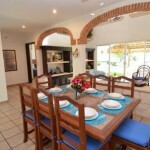 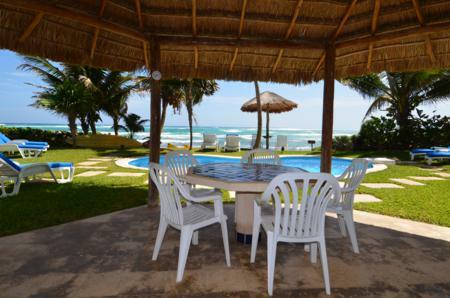 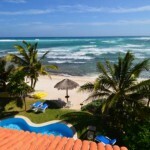 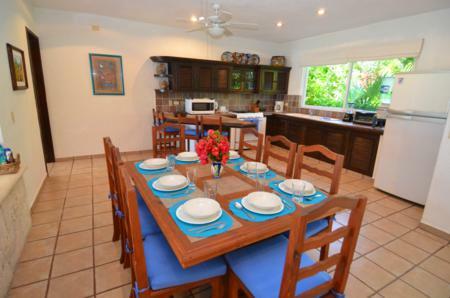 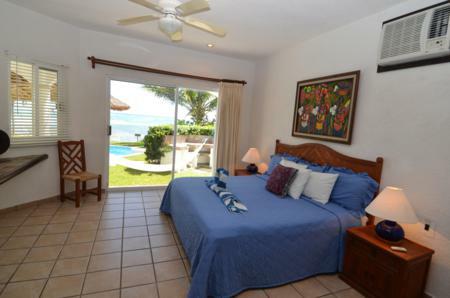 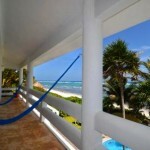 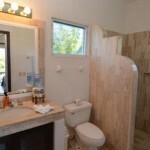 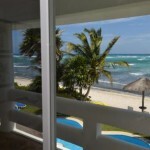 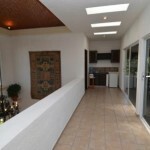 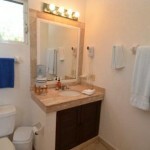 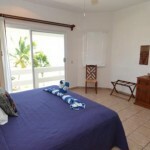 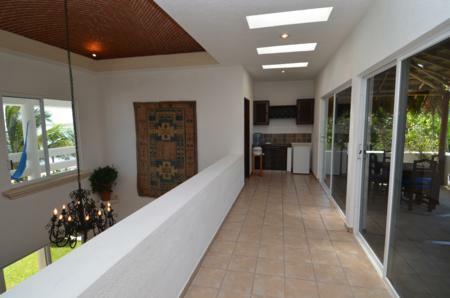 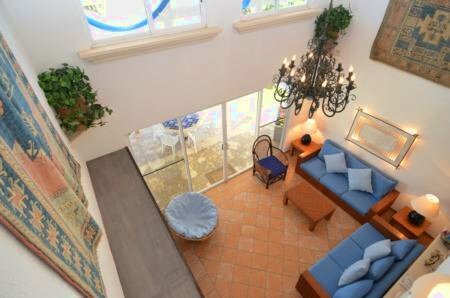 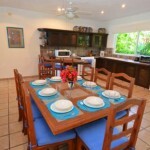 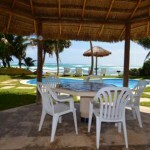 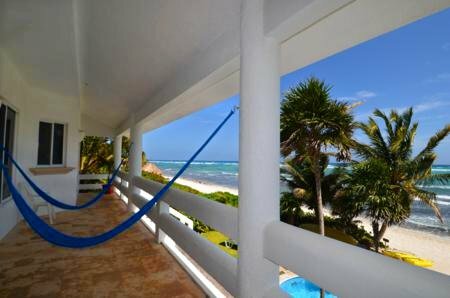 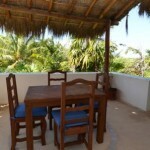 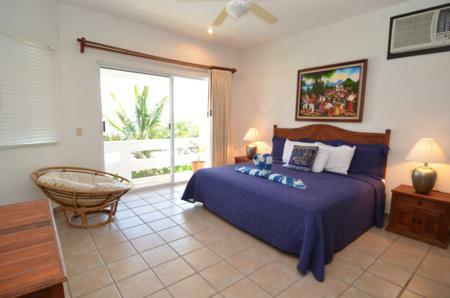 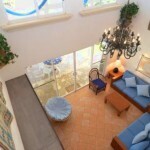 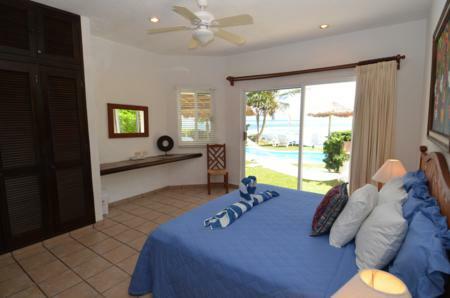 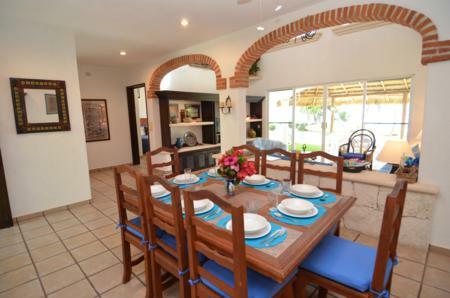 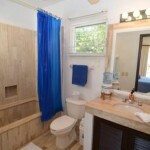 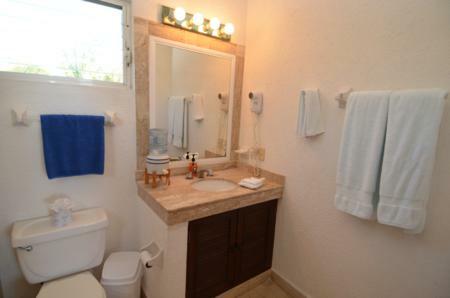 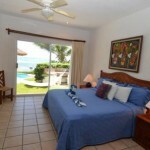 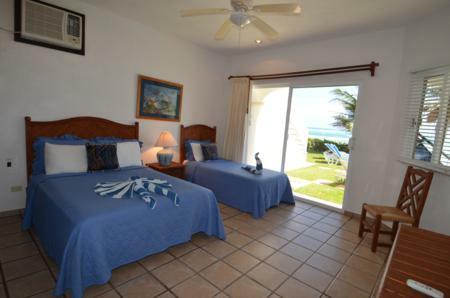 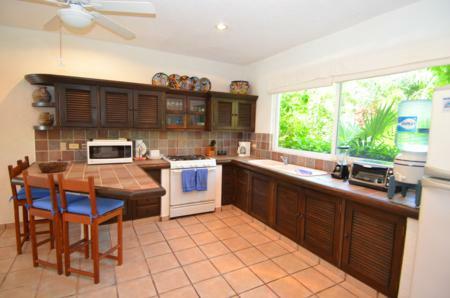 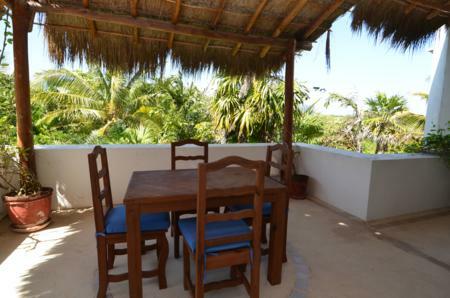 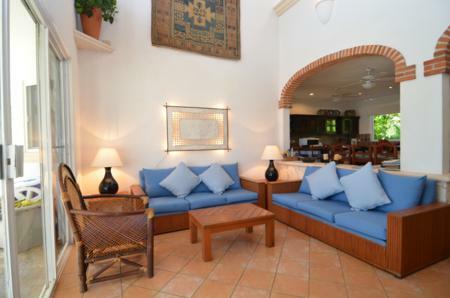 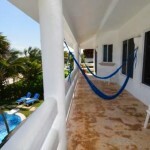 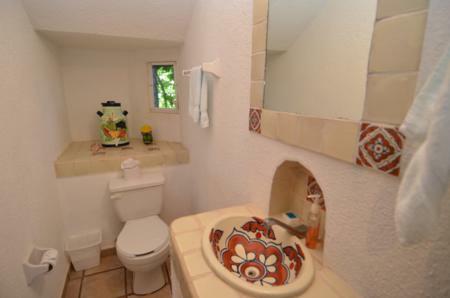 The upper floor also has a wet bar and a cozy palapa shaded, garden side patio as well. 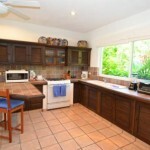 The full kitchen and dining room are on the first floor with a glass slider to the beach side verandah, pool and surf line. 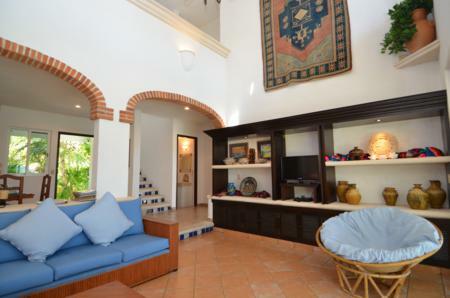 The living room has a striking domed brick ceiling and brick arches over white columns for a very elegant effect. 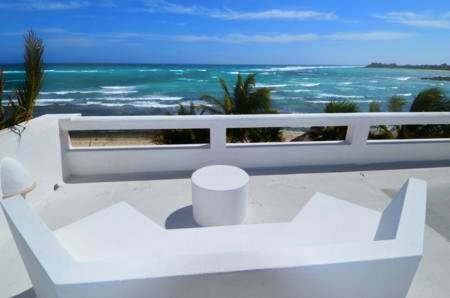 A rooftop observation deck is a great place for tanning or cocktails and has a commanding, panoramic view of both the Caribbean to the east and the jungle to the west, but is particularly well suited for evening stargazing! 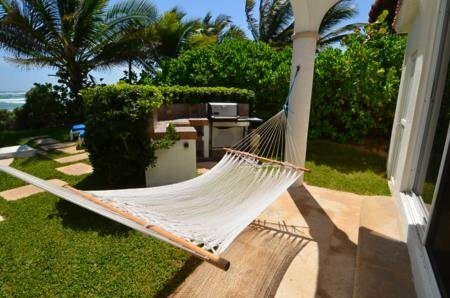 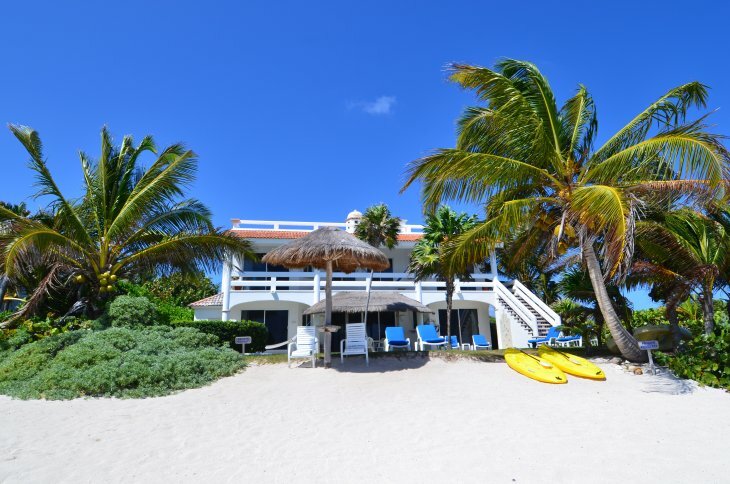 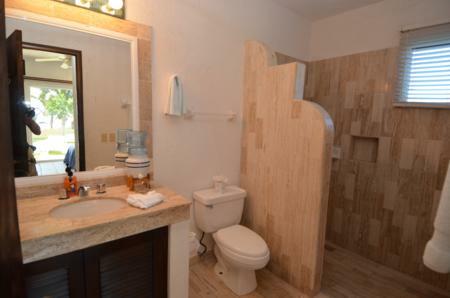 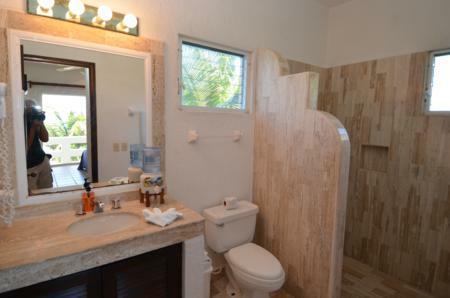 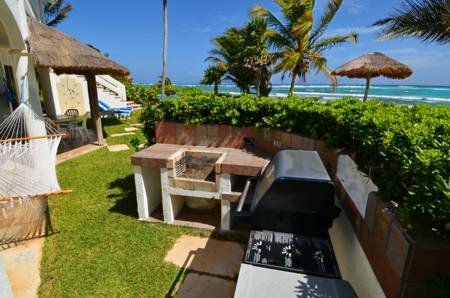 A full array of amenities, including a built in grilling area with charcoal and gas grills, kayaks, satellite TV and more; makes Villa Palmeras a perfect choice for a tropical vacation with all the conveniences of home and then some. 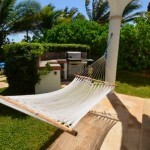 Come to stay, relax and play, you’ll be glad you did! 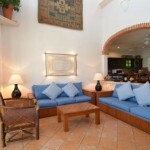 Enjoy a free continental breakfast Monday to Saturday!